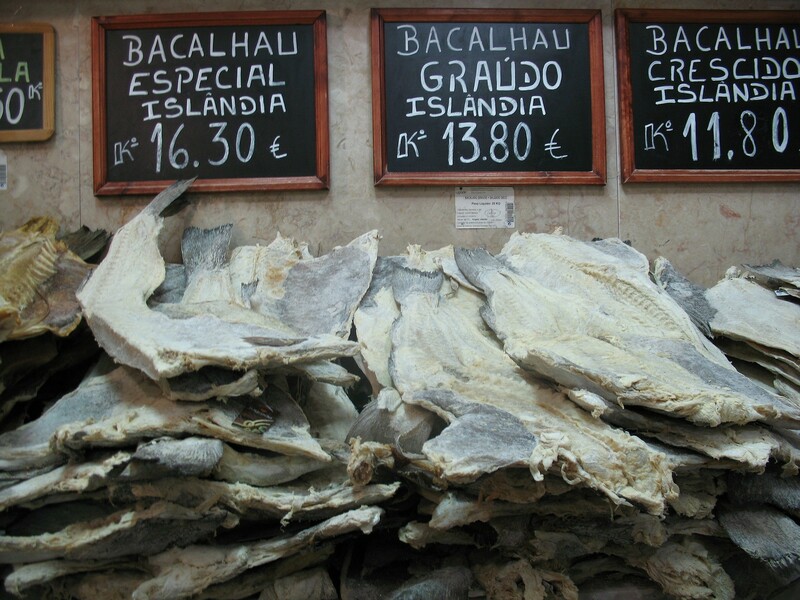 The Portuguese are famed for being major cod (bacalhau) eaters… and after having stayed in their country for 10 days, I can definitely confirm that this is not just a cliché! Cod is always present on the menu. And yet, the Portuguese never tire of it because they know how to prepare and serve it in 1001 different ways. Service at restaurants usually kicks off with petiscos, bite-sized starters that are eaten with the fingers. Cod croquettes known as Bolinhos de bacalhau are always included in this starter. Codfish recipes also figure in the main dish. One such classic is the Bacalhau à Brás in which the cod is served with onions, thinly chopped fried potatoes and olives. Surprisingly enough, all this cod does not come from Portugal but from Northern Europe, mainly Norway.